On 18 July 2017 some of The IEA Elite holiday campers wanted to not only give to humans, but also to animals in need. 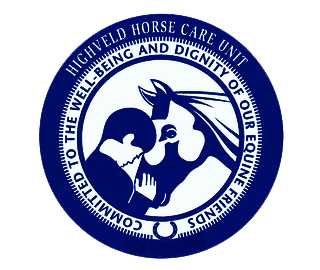 As horses are such a passion for learners and teachers at The IEA Elite, Highveld Horse Care Unit (HHCU) was without doubt the place we needed to visit. The campers started making treats that even they could not resist using melted treacle sugar and apples. A lot of care was taken in the preparation. There was nothing but excitement going around. Standing on the side and listening to the conversations between the campers, one could only be proud to be associated with children who care as much for animals as they do for people. We arrived at HHCU just in time to feed the snacks made by our holiday campers as dessert. It took some careful explaining as to why some of the horses and donkeys would not take treats out of people’s hands. HHCU staff answered all questions patiently and took time out of their busy schedule to introduce all the donkeys and horses to our campers. The campers made sure that every donkey and horse got a pat and apple covered in treacle sugar and oats. And surely, just as with most children, there were a few ponies who tried to get a second helping! Our campers were happy to oblige. On our way back, the campers chatted about what they saw and liked. It was clear that the two very large Percherons made a lasting impression. I am also sure that should they been given the chance, we would have had a few cute donkeys coming along to join us at The IEA Elite. Thank you to HHCU staff for making this such a lovely experience for our holiday campers and to Taneil for allowing me to be a part of a magical afternoon. Wonderful achievement by the campers and staff. Well done all.